About the cook: Hi! I am a 26 year old stay at home mom of 2 little girls, ages 1 and 2. I am always trying to create delicious, quick, and easy recipes for my family to enjoy. Cooking is something I enjoy immensely and hope to pass on to my daughters. 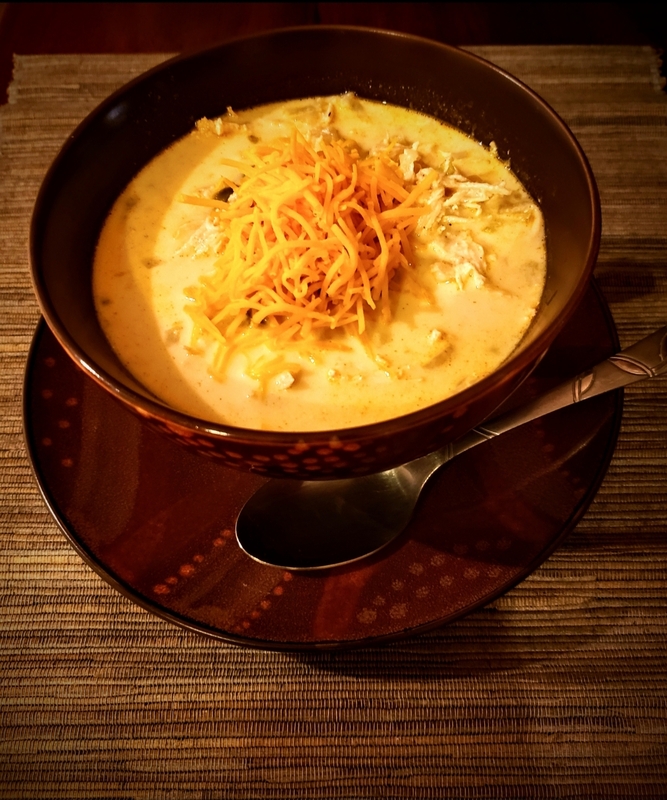 About the dish: Quick and easy instant pot soup, perfect for a cold winter night, but a soup you will want every night! 1. Put the trivet in the instant pot add chicken broth to the bottom. 2. Add chicken and sprinkle adobo seasoning over it. 3. Add garlic, onion, and jalapeño. 4. Sprinkle cayenne over it. 5. Add cauliflower rice in to the pot. 6. Pressure cook on poultry setting on high for 15 minutes. 7. Let it naturally release for 5-10 minutes. 8. Open and remove trivet. Remove chicken and shred it. 9. Return shredded chicken to the pot. 10. Add heavy cream and sour cream. 11. Stir well and serve.